Two big U.S. brands are preparing to fight for a spot in the lucrative Alberta retail market. 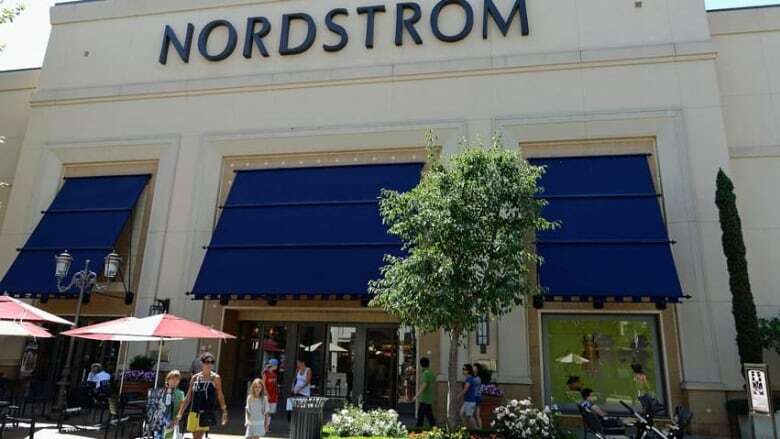 ​​Nordstroms will be launching its first Alberta location over the next month in Calgary. While Marshalls is already in Edmonton, it will also be launching a Calgary location. The city is the latest battleground for giant U.S. chains looking to take advantage of Canadians hungry for a deal. But while Canadians may be used to swiping bargains at the retailers' U.S. locations, they shouldn't expect the same experience in Calgary — at least, not right away. "That's been an issue that the federal government is trying to address, where we have U.S and Canadian retailers operating on both sides of the border and there's a bit of a price discrepancy that isn't reflective in the actual currency rates. That's an issue," said Justin Smith, policy director of the Calgary Chamber of Commerce. "I think as there's increased competitiveness in that market, prices will go down — or there will certainly be available goods at all different price ranges." The Alberta retail market is currently the fastest-growing in Canada and Smith says it's poised to see more than $30 billion in annual sales by 2017. A lack of growth opportunities in the U.S retail market forced many retailers to look north, and Alberta has been one of the regions to see strong growth in the number of American chain stores setting up shop. J.Crew and Target both launched Calgary locations over the past year. The National Retail Report Canada from Colliers International shows Alberta outperformed all other provinces with its annual growth in national sales, with volume increasing by close to seven per cent from last year. The high amount of disposable income in Alberta makes it a potentially lucrative market for any retailer able to carve out space for themselves. However, both Nordstrom and Marshalls will have to be careful not to repeat the mistakes made by Target — namely, taking into account the high standards expected by Calgarians, says one marketing professor. "Not only do we have this nice economic situation but we're also, for the most part, pretty savvy in terms of global brands and U.S. retailers and what they have to offer," said Debi Andrus, an assistant professor at the Haskayne School of Business at the University of Calgary. "Underestimating people's experiences and their expectations when the store is here in our backyard, I think that that in terms of consumer behaviour is what the retailers need to understand really well." Simple brand awareness wasn't enough to sustain Target's Canadian operations, something the retailer quickly learned, says Andrus. She says Nordstrom is working to learn from Target's mistakes to ensure a more successful launch. If they succeed, it could spur even greater competition in the expanding Calgary retail market. As retailers fight for Albertans' money, it may force many to provide an even better experience for the customer, says Smith. "As Calgary's population grows, as our economy matures, there's certainly going to be more competition," Smith said. "Market entrants are certainly going to place more competition in the marketplace and it's going to force people to step up their game and really meet that level of competition and fight for those consumer dollars." While the new competition may spur better service, Smith says it shouldn't be seen as a threat to local retailers. Many of them have already established themselves and managed to stave off competition from large Canadian retailers by tapping into local niches. "Those local, homegrown businesses already face competition from larger, national retailers and they're doing just fine," said Smith. "They target a niche market, they're competitive and they offer products that consumers in Calgary want. I think there's plenty of room for them to continue being successful with the entrants like Nordstrom and Marshalls." In an earlier version of this story, it said Marshalls would be launching its first Alberta location later this month in Calgary. However, the company has already set up shop in Edmonton.